Who cuts your lemons? That’s the question. This comes from an article I read on the BBC website recently about a British company called Pizza Express. They have processes for certain people. They’ve got 500 restaurants across the UK, very well known, very popular restaurant chain. They have processes where people do a certain task and as with everything, it’s always something that’s very obvious once it’s mentioned that you should change. But what happens in the morning, is they have their chefs doing their work and then the waiters come in and the waitresses and servers. One of the jobs is that they start doing some bits and pieces of work and then one of their other jobs is to get into the bar area and to chop lemons. So, what they do is they put on slightly different clothing, they will go to the bathroom (you hope), wash their hands, come back, prepare a clean area, get a whole load of lemons out, get a sharp knife, etc, etc and cut those lemons. Now, The process. That’s a very sensible way of doing it called batching. So, they’re going to chop all those lemons up and have them ready for all those gin and tonics, water with lemon, coca colas, funny beers where you stick one in the end, all that kind of stuff. So, all done for the day, all organized. Then, when they finish that, they go back to the bar, clean the area up, back to the bathroom, wash their hands, get back to normal clothing, get back to their next job. Obviously, most people don’t want more work. But the chef pointed out that when they come in for work in the morning, they spend all morning chopping ingredients. Not only do they spend all morning doing it, they’ve got all of the equipment out ready to do, but they have been chopping ingredients for years. They’re experienced ingredient choppers. They are quicker than anyone else. The suggestion was put in, someone noticed and across five hundred restaurants, this has saved hours and hours, countless hours of work and it’s day after day after day. That converts into money or frees up time for other things. For you, my friendly owner, who is doing what job? Are they the most appropriate person to be doing that job? Are the things that you are doing in your marketing that someone else is more capable of doing, better trained for and can tack on to other jobs that they’re already doing where it’s very very similar. Think about it. Now, it is a Thursday. I have a podcast for you and I think I’ve mentioned recently that not many people manage to get on to my permanent iPhone podcast list, but this one has and I listen to a lot of these podcasts. This is from a guy called Seth Price. It’s called The Craft of Marketing. Seth has obviously been around for a while in the marketing and presentation game. And because he’s a presenter, he stands on stage. He’s given numerous talks over his lifetime. He’s a very good broadcaster. But due to the respect he has in the trade, he has some fantastic guests. Some of the guests I’ve heard, interviewed many many times and in fact some of them have their own podcasts. But for some reason, Seth has managed to get out of them information that I’ve never heard before. One of my most trusted podcast favorites was interviewed on his show and it gave me a whole new lease of life, the way I was looking at what Marcus does. It gave me a sit down and have meeting with my marketing staff and discuss some things that are slightly different because I saw it in a different way. So, that’s my recommendation for you today. 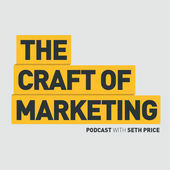 You can go to sethprice.net/podcast but of course iTunes, etc just search on that for the craft of content marketing. I don’t think you’ll regret it. I liked it. That’s it for today. Remember, who chops your lemons. Good podcast. I’ll see you tomorrow. 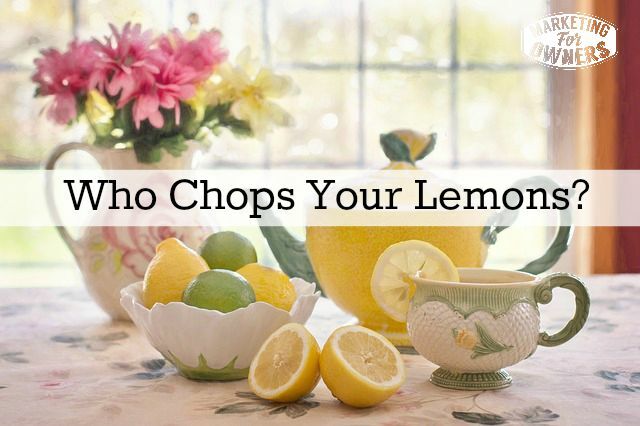 So — who chops your lemons?